Last week's post was just foreshadowing. (I.e., don't let the date fool ya, this is no joke). I have never been so excited and so scared at the same time in my entire life. Can you say a ¿Gemelos? Double congratulations! That's great--looking forward to reading all about it! Oh my stars in heaven!..........did I miss something????????? as I was looking up "twins" in the online translater, I remembered that you, Kevin, are a twin.......W O W.
My very best wishes to you and Meg for smooth sailing ahead. Oh my goodness! Congrats Kevin!! Twice blessed! CONGRATULATIONS, Kevin. 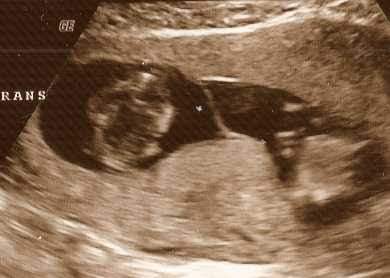 I am so happy that you and Megan and Jorge are expecting two new additions to your family! Thanks so much, everyone. This is huge news for us. As a co-worker said to me the other day: "having a kid is a radically life-changing event." 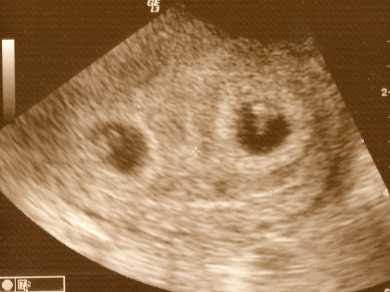 I can't even begin to imagine how one would then characterize having twins! And, ummm Penny, I don't mean to be a stickler, but I'm Kevin. Hi. Kev, db has already taught you to be flexible, adaptable, and creative - great skills for raising a family. I'm so sorry. I don't know why I called you Scott. I know who you are. I read you blog all the time. ooooo double congrats! that's so exciting. i can't wait to read more and more about your whole adventure! Of course it's twins. You need both sides of the parentheses, dude! You're having Twinkies! (Well okay, i suppose you - Kevin- are not technically having the twinkies, but you know what i meant.) Congratulations. My mum and her mum are both twinkies. That's very exciting. Congrats! Im just new here reading you, thanks Kendra, but I had to say congrats anyway. Having a kid is amazing...two is even more fun I'm sure. Congratulations on the twins, Kevin! I've been lurking around the Diabetic OC for a while, and your page has really caught my eye. I am a twin myself, so I can only offer the perspective of a twin, but it's an awesome experience, and I wouldn't have my life any other way. Sorry for the long comment, I just wanted to finally introduce myself to ya. I'm behind as usual. Very cool, Kevin! Congrats!!! Good luck, and feel free to email me any time! Kevin!!!!! How the hell did I miss this post!!!! Damned bloglines! Arg! HUGE congratulations to the both of you!!! Awesome news buddy! A busy period of life for you, but there is nothing more rewarding than watching your kids grow up. Warp speed style. HOLY CRAP! I am late to the party, but wow, wow, wow, wow. Congrats.